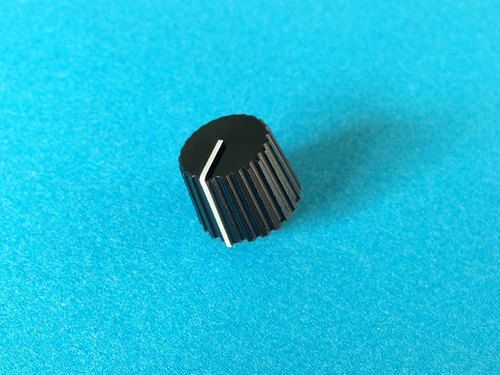 Our Steinberger Fluted Control Knobs are exact reproductions, modeled after the original custom designed Steinberger knobs. 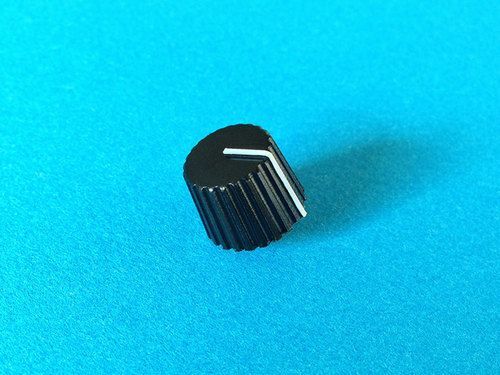 This style Steinberger knob was used mostly starting with the XL and GL series, and can also be found on the GP and GM Steinberger series for guitar and bass. 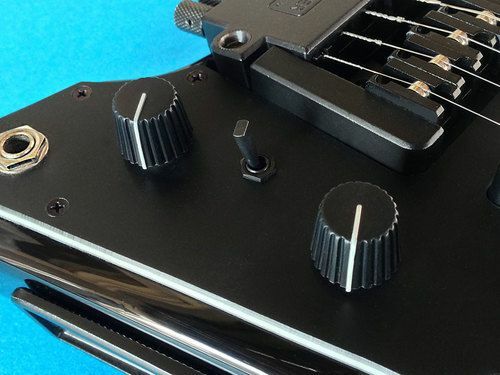 The original fluted knob was designed by Ned Steinberger at the Newburgh, NY factory, and was manufactured in Japan. 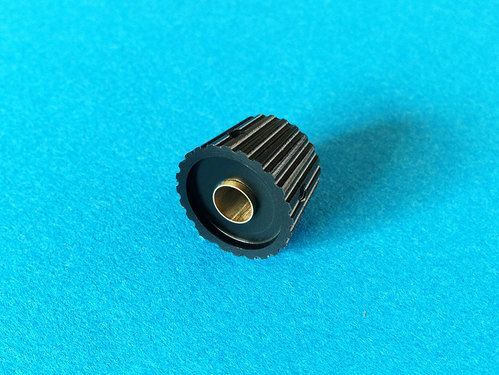 They are no longer available, so we at HeadlessUSA took it upon ourselves to create an exact CNC reproduction, using a specially formulated crystalline plastic which has excellent resistance to wear. 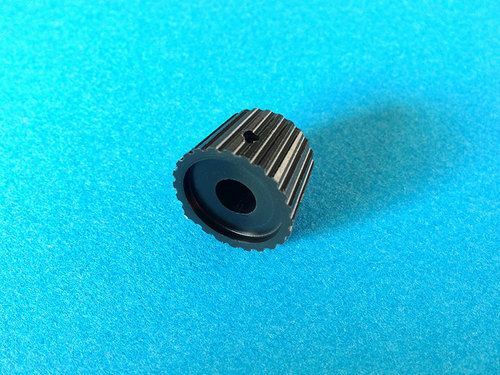 We offer these control knobs to fit solid shaft, or push-on shaft pots. 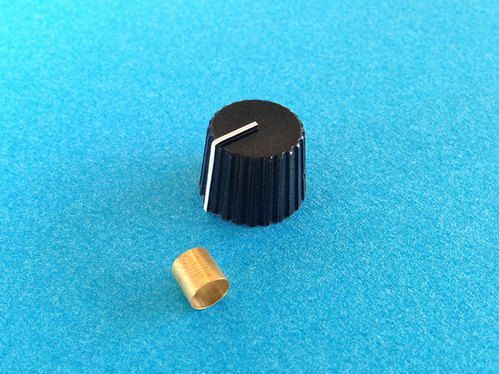 For push-on shaft pots, use the included brass sleeve. Made in the USA. Each knob includes a brass sleeve for push-on type pots. Omit the brass sleeve for solid shaft pots.